The Christchurch mosque massacres have sent shockwaves around the world. A Thrive on Campus Editor-at-Large reflects on the tragedies that that struck her hometown. For as long as I can remember, I have been a migrant. In my 21 years I have lived in four countries, 10 cities, and 18 houses. I am also fortunate to have travelled across the globe to over 20 countries. Yet, there is truly no place like Aotearoa (New Zealand). In all its pristine, natural beauty, Aotearoa is perceived by many of my friends and relatives as a secluded paradise. They envision an untouched and idyllic setting with grandiose, snowy mountains and picturesque beaches. Although the impressions of this country as a perfect, happy-go-lucky land of hobbits is false, I must admit, they are not entirely wrong. Aotearoa is indeed a beautiful country, where a road trip outside any urban area can lead you to tranquil visions of sheep grazing blithely on vast, pastoral hills. Throughout my adolescence, I found myself developing a special pride in my home. I was impressed by New Zealand’s low corruption rates and ardent support for progressive, feminist ideals, currently embodied in the leadership of Prime Minister Jacinda Ardern, who herself is a confident, unmarried woman and mother to baby Neve. And when I left Christchurch to study at the University of Melbourne, Australia, I found comfort in the knowledge that my family was living in the safest place I know. New Zealand is our small, unassuming home. Our safe haven, tucked away in a far corner of the world. But two days ago, my sense of security was completely shattered once I received a text from my sister. “Sis, my school’s in lockdown,” it read. I scrolled through my messages after class to find that my family was located five minutes away from the Christchurch mosque shootings as they were occurring. All my loved ones were thankfully unharmed and safe, but I am nonetheless still deeply shocked. New Zealand has a problem. Undeniably, the 100 percent pure, clean, and green New Zealand image is merely a façade that masks its structural racism and promotes the myth of New Zealand as having resolved all legacies of colonisation. 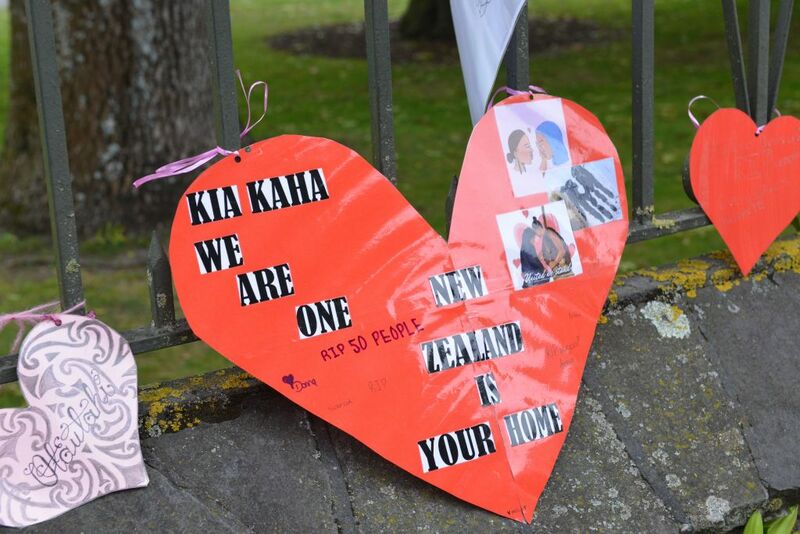 The series of earthquakes in Christchurch in 2011 further exacerbated our deep underlying problem of racial discrimination and fuelled far-right fringe groups who were “grieving for lost Christchurch”. Now having claimed 50 lives, this tragedy marks what PM Ardern calls “one of New Zealand’s darkest days”. This expression of hatred is not New Zealand — this is not who we are. Despite all of our nation’s flaws, diversity is one of our strengths and we prize the right to religious freedom. Although the man who conducted the vile mass shooting is Australian, this incident sheds light on the issues in our community. As a university student living in Melbourne, which according to the Economist Intelligence Unit was the most liveable city for a record-breaking seven years, I definitely do not think all Australians are racist. Some of them are in fact the kindest people I know and Melbourne is in itself a very vibrant, multicultural city. Still, racism is alive and well. For instance, there are far-right, Nazi-inspired groups that spread white supremacist ideals across various cities, like Melbourne, and across university campuses in the country. My friends in New Zealand have also encountered symbols of white supremacism in Christchurch. It may feel paralysing to think that in 2019 we are still fighting the same battles that people have fought for centuries. At a time when there is still so much hatred and violence, we must be all the more vigilant and speak out when we see injustice. Much like PM Ardern, who has appropriately and admiringly shown proper respect towards and expressed heartfelt solidarity with the Muslim community, we must call out those who do not speak the same language of acceptance and appreciation for diversity in our highly globalised world. PM Ardern rightly proclaims “to the people who did this: You may have chosen us, but we utterly reject and condemn you”. Just as she shares her sentiments, I’d like to share some of mine. To the terrorist who took away the lives of innocent people: You sicken us. Neither you nor the ideology you stand for will ever win. Your horrific and heinous acts of hateful violence, which you even live-streamed to gain virality, are just disgusting. To Australian Senator Fraser Anning who believes that “the real cause of bloodshed on New Zealand streets today is the immigration program”: How dare you use your Christian beliefs to justify the terror attacks? How dare you generalise the entire Islam religion and Muslims and say that “usually they are the perpetrators”? How dare you diminish the faults of the Australian man who killed innocent Kiwis? To my Christchurch whanau* who bravely faced devastating 2011 earthquakes: We are a small city, but our resilience and unity in grief are admirable. I am optimistic that we will be stronger than ever as we go through this devastating loss as a community, but let us not forget that no matter where we come from, no matter what our skin colour, and no matter what our religious beliefs, we are equal members of one great whanau. Lastly, to everyone who passed away, those who are injured, and families of victims: I realise that no number of condolences or words of comfort will ever be enough. I am so sorry and my thoughts are with you. Sohee Kwon is a Bachelor of Arts student intending to major in Politics and International Relations, minor in Linguistics and Applied Linguistics, and pursue a Law Breadth Track at the University of Melbourne, Australia. Thrive Global's first Australian Campus Editor-at-Large, Sohee is actually a Korean-New Zealander who has lived most of her life in Manila, Philippines. If you ask her, "Where are you from? ", you would most likely see her initially freeze up. A Third Culture Kid, she values embracing diversity and travel, creating social impact through NGOs and social enterprises, and promoting mental health and well-being, particularly in residential colleges all around Australia.